Good Old Games has some pretty big plans for the future, including the addition of some good "newer" games to its lineup. 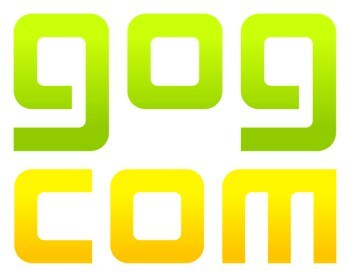 We all know by now that Good Old Games, better known these days as GOG.com, is an awesome source of classic, DRM-free videogames, tuned up to run on modern PCs. That sounds pretty PR-ish, but it's true. But next year, the GOG guys are going to start muscling in on more mainstream territory with the addition of some not-quite-so-old releases to its lineup. "We will be adding newer games into the catalog in 2012," Managing Director Guillaume Rambourg said. "Traditionally, GOG.com has looked for great classics that are three years old or older. We will continue to add classic games, of course, but we are actively working to sign newer titles now." The new games will come in at a higher price point than the classics GOG currently carries but will still be completely DRM-free and include extra content, like wallpapers, avatars and soundtracks. Rambourg also said that the platform's ongoing success has turned the tables a bit and that publishers are now coming to GOG to ask it to carry their games. "We want to work closely with ambitious developers and independent publishers who feel a kinship with that 'good old spirit' that GOG.com embodies," he said. "Thanks to the commercial success of The Witcher 2 on GOG.com, more and more people realize that our values are universal. They are coming to GOG and asking if we can carry their titles." 40,000 copies of The Witcher 2 sold through GOG, a respectable amount although still just a fraction of the 200,000 copies sold through Steam. GOG plans to have more than 400 games in its catalog by the end of 2012.